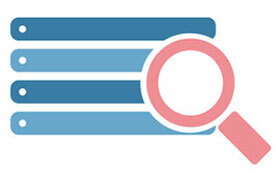 Make your Content Search Friendly and Discoverable! 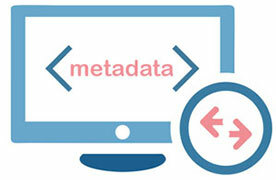 In the context of OTT, metadata is used to enable content discovery. In a Content Management System (CMS) for audio or video content, metadata is used to identify, retrieve, and link it to other content. 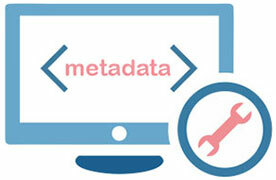 Metadata contributes to the easier discovery of resources in a library by using more accurate content descriptions. This makes search and recommendations more granular. Adding rich information about your videos, powers your users to easily search, sort, filter & find any content internally within your platform. This also helps in building and optimizing your platform making it more SEO friendly and easily discoverable on the web. You can use meta tags to make your digital assets easily discoverable and indexable on your OTT platform, as well as on search engines. With Muvi, you have complete authority over your metadata, coming with some common pre-defined metadata parameters as well as to add custom metadata information tailored to your requirement. While adding content to your platform, you need to classify them under different categories such as movies, TV shows, documentaries, etc. You’ll also need to create genre-specific menus such as crime, comedy, thriller, horror. 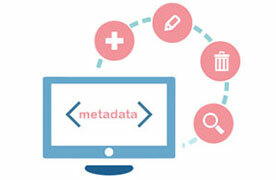 This’s what a smart metadata management system will help you accomplish. As a platform owner, you can create new unique metadata for specific needs. Elements such as artists, release date, content type (video, audio), content format (single-part, multi-part), and content category (movie, TV Show, Video Clip, Live Streaming, etc.) should be configured in the metadata so that users can search for content based on specific search criteria. The Muvi CMS allows account admins to create and configure metadata forms that are essentially templates to define which attributes shall be included in a particular content category. So, as an admin, you can pre-define the metadata that needs to be entered for different formats and categories of content. 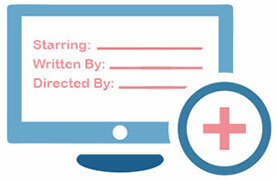 While building the content library, you already know which metadata is to be assigned to a multi-part TV show in the comedy genre; as well as you know what is required for a thriller movie. While metadata is important, individual cast & crew metadata works on similar lines. You can define and assign cast & crew members for each of your content in the library and can also reuse the same for multiple titles. For e.g. An Actor once defined can be used in multiple movies and TV shows. You can also create individual artist pages along with their name, description, and image as default fields and add custom fields such as photo, date of birth, gender, marital status, etc. and include their bio in a filmography or discography on your platform. This helps users to understand whom to credit for the content and create fandom. This is great when viewers are searching based on an artist rather than titles. Managing a huge library sometimes becomes a tedious task. With Muvi, everything can be done with a click of the mouse. Muvi supports easy import or export of video metadata in any format such as Excel, CSV or any other format known in the industry. 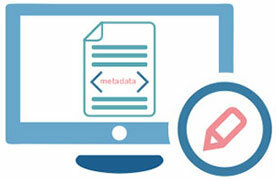 Apart from this, if your existing metadata catalog is present in MRSS (Media Really Simple Syndication) format, you can easily send us the feed URL and we will work with you on importing your entire library in a jiffy! It’s that simple with Muvi. If you wish to add custom metadata information related to your content, cast & crew members, you can easily do so by creating your own custom fields and reusing the same across all your videos and cast & crew pages. Muvi supports unlimited custom metadata fields that can be managed easily via the CMS. With a huge library comes the difficulty to find any content, but not with Muvi. The platform is enabled with numerous filtering options, allowing anyone to find specific content by just doing a simple search, sort, and filter. We work on all levels to enrich the user experience on our platform. Apart from adding custom metadata fields, you can even translate the custom metadata into other languages enabled on your platform. 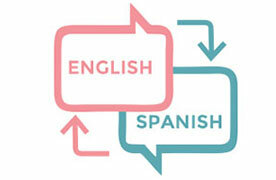 This helps in engaging better with your platform users by offering more elements in their native language.